It was a bit of a slow start today as Coo had a bad night with 15 seizures so it took a while to get things back on track again but by lunchtime we'd donned the wellies and were all good to go! Off we set, that's Coo, Looby, our wee Jack Russell Angel and me! 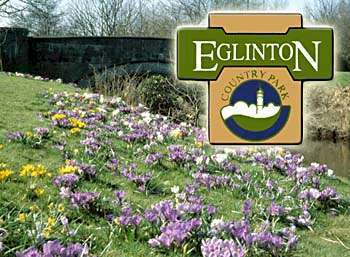 We went to Eglinton Park which is always a pleasure! It's such a calm, peaceful place whatever time of year you visit. You can see what I mean about it being a pretty place. I think one of the things I like about Eglinton, is their really friendly and relaxed cafe area - it's great! 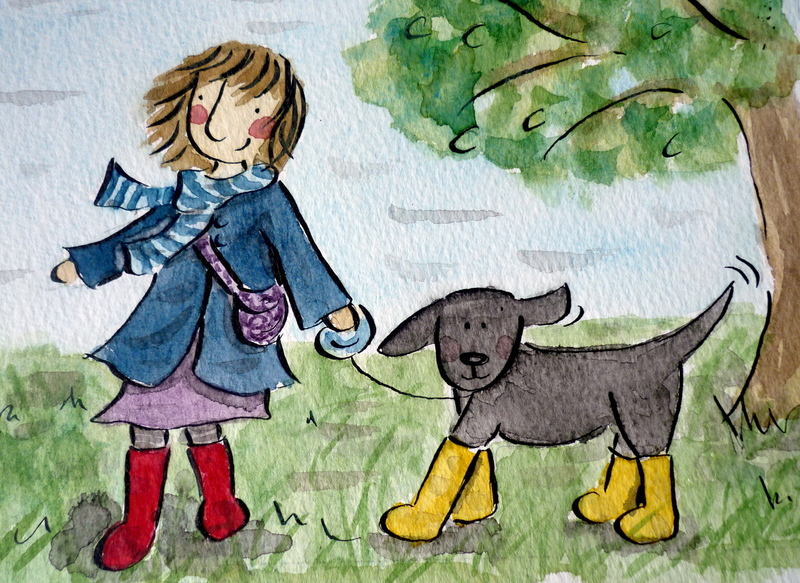 It's one of those places where you can take you're wee dog in with you and have a cuppa and a snack. It's a bit of a Godsend really as after a wander around the park Coo starts to tire and a coffee and somewhere for a wee seat makes all the difference and we don't need to rush off home! In the end, we decided to treat ourselves and have some lunch there - no cooking for me so...Result! woo hoo! 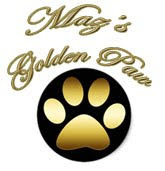 'Maz's Golden Paw Award' for being such a people and puppy friendly place - well done! What's the chances of training a wee Jumpy Jack Russell to wear these eh? Wherever you are, I hope you're having a great day too!